View More In Seat Posts. 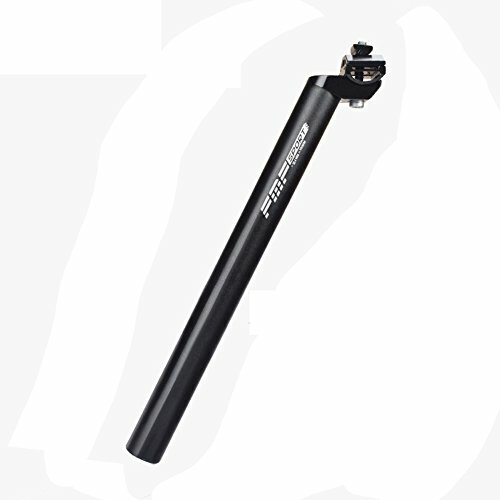 1.Check the diameter of the original seatpost,choose the same size as the original diameter. 2.Measure the inside diameter of the frame tube.choose the same size as the inside diameter of the frame tube. Made of High quality 6061 aluminium alloy.Light weight,never rust.Strength: 4.9 levels ultra high strength, maxium of 580lbs. Diameter:25.4mm.Length:450mm.Setback: 20mm. Adjust tube length of 0 to 420mm. How to Choose the Size:1.Check the diameter of the original seatpost,choose the same size as the original diameter.2.Measure the inside diameter of the frame tube. With adjustable head, convenient to install.